The latest inspection of the number of registered, eligible voters has once more found there are frauds in the system as Turkey’s local elections approach. The frauds are now seemingly found in every city and province in Turkey. A latest inspection has found forgery at 500 ballot boxes, in which President Recep Tayyip Erdoğan garnered 100 percent votes in June 24 elections last year. In some regions, it is determined that the number of balloters had been increased eight times. Inspections revealed that a number of electors had been increased more than 50% in 61 ballot boxes while a total of 100% increase was observed in 27 ballot boxes. 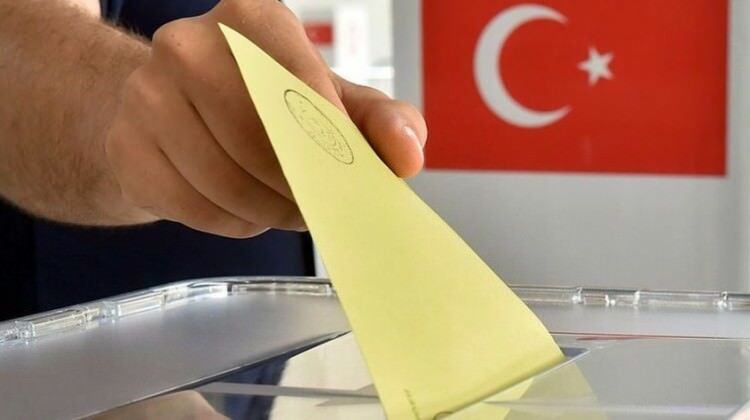 The same inspection observed the number of electors had been increased by 1,9 % in the ballot box around Turkey since the local election period took place. A dramatic elector increase in the boxes shows how the local elections could be corrupted again in two months before the elections, casting doubt on whether the elections will be free and fair in Turkey. Elections will be held at the end of March. Özgür Gürel, deputy chairman of the Republican People’s Party (CHP) proved this striking election fraud by inspecting 500 ballot boxes where Erdoğan had managed to get 100 percent vote from the electors in June 24 general elections. Gürel explained that number of voters had been increased by a shocking 50 % in 61 ballot boxes while 100 % increase was observed in 27 ballot boxes. “When we watch the election results, we saw the supervision opportunities of opposition parties remain restricted on the authenticity of the elections. When we look at those elections, we see how people felt oppressed by the state in some areas (where AKP garners abnormal high votes) and the number of voters has been increased excessively. It is overshadowed to the authenticity of the election,” said a critical Gürel. He also pointed out the elections are defrauded on instruction from high office, specifically by the governing Justice and Development Party (AKP). He said law-enforcement officers, governors and districts who use the public power are putting the pressure on the electors to vote AKP. “This pressure clearly reflects the results of the elections in some villages, neighbourhoods,” pointed out Gürel. The five hundred ballot boxes in which Erdoğan Garnered 100 votes from elections are concentrating on provinces such as Şanlıurfa, Sivas, Erzurum, Adıyaman, Bayburt, Çorum and Malatya. Following the inspection, the elections’ number changed in 500 ballot boxes, it has been revealed the number has been increased more than 50% in 61 ballot boxes while a total of a 100 % increase was observed in 27 ballot boxes. Gürel pointed out that such mobility is contrary to the usual flow of life as it is above usual. According to the inspection made by Gürel, highly excessive increases are determined in some electoral regions such as in Yukarıyayla village of Eastern Black Sea Region Gümüşhane (1100 km east of İstanbul) where the balloters increased by 761 % while the Baskil district of the eastern province of Elâzığ was increased 490. In the Dölek village of Kelkit district of Gümüşhane, balloters determined 451.4 % while increased observing 375. 6 in Güllüce neighborhood of Darende district of Malatya. A 300 % dramatic voter increase was also seen in Yergömü villages of Turkish capital city of Ankara’s district of Haymana, 275,5 % in Çerçi village of Şabanözü district of Çankırı and 215 % increase again observed Cemalli village of Kelkit district of Gümüşhane.